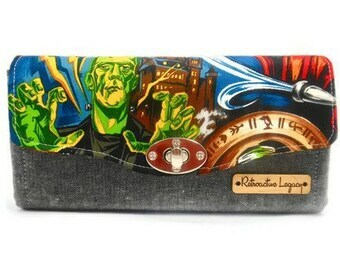 Ziggy Stardust handmade wallet featuring custom printed fabric paired with your choice of dark denim (first 3 pictures), yarn dyed linen in dark grey (last 3 pictures); a brass tone twist lock and your selected lining fabric color. 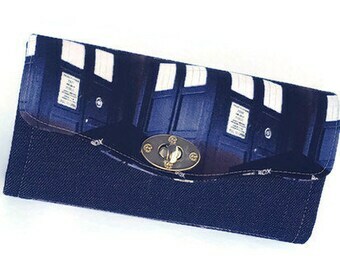 This is an accordion style wallet with plenty of room and separated spaces to keep your stuff organized and at the ready. 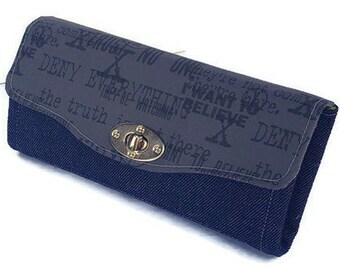 This wallet is made to order and you will receive a wallet made with your selections. 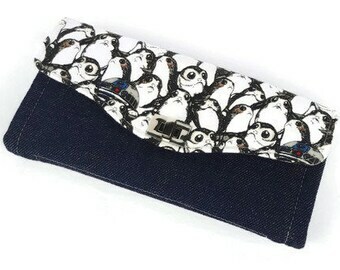 Each wallet is made by hand and fabric pattern placement may vary. 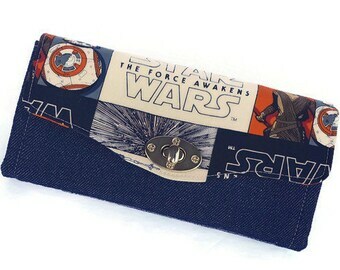 This wallet is fully interfaced and is nicely structured and shaped with stabilizer for a substantial look and feel. 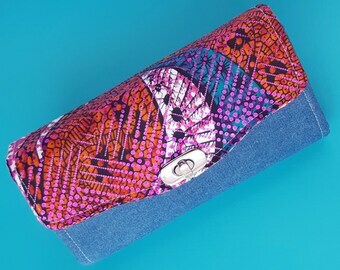 Each load bearing seam is double sewn, making this the perfect choice for daily use. 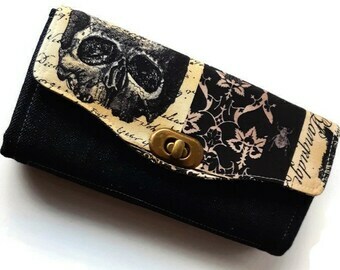 This wallet is handmade by me in my smoke-free, pet-free home studio. 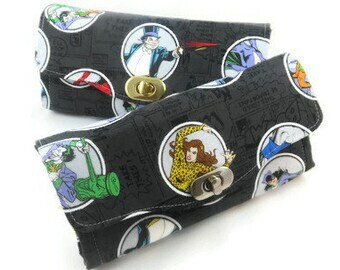 Love this wallet but want it made with different fabrics? 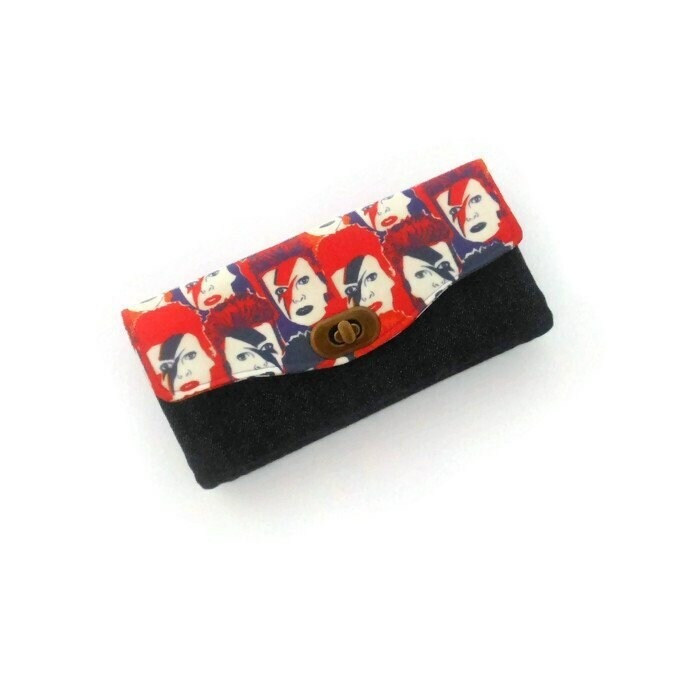 Send me a custom request and we'll work together to create you perfect wallet! If you have any questions please do not hesitate to contact me here, via email at orders [!at] retroactivelegacy.com or visit my website at www.retroactivelegacy.com. Super satisfaite du portefeuille! Livraison rapide et travail de qualité!